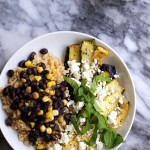 See summer out with a batch of this healthy and hearty stew, featuring all of summer’s best produce, served with slightly sweet cornbread that is made all the more delicious with brown butter and maple syrup caramelized fresh corn. “Late summer”. What is this nonsense?! The universe must be playing a pretty epic trick on me because I have done nary a single thing on my summer to-do list, other than run around the entire east coast in cute dresses attending weddings. I should add that to my resume – official wedding attender. There has been not a single fruity drink drunk on a single tropical isle. But at least now we have stew. Really. Pretty much everything taking up precious real estate in my crisper went in here. It was a party on my stovetop. And then a party in my mouth, especially when inhaled with a bite of the most delicious corn muffin I’ve ever had in all my life. You haven’t truly lived until you’ve tried one of these. I speak from experience. Sort of speaking of which…I spotted a “local” (from Vermont) butternut squash display in Whole Foods on Friday and ran in the opposite direction. And then almost got really excited. And then almost cried again. Talk about an emotional rollercoaster tailspin. See summer out with a batch of this healthy and hearty stew, featuring all of summer's best produce! Heat 2 tbsp olive oil in a large pot over medium heat. Add the peppers, onion, bay leaves and 2 thyme sprigs. Season with ½ tsp salt and freshly ground pepper. Cook until the veggies are tender and starting to brown, about 15 minutes. Stir in the tomato paste and cook for 1 minutes. Deglaze with the the wine, allowing to simmer until it thickens a bit. 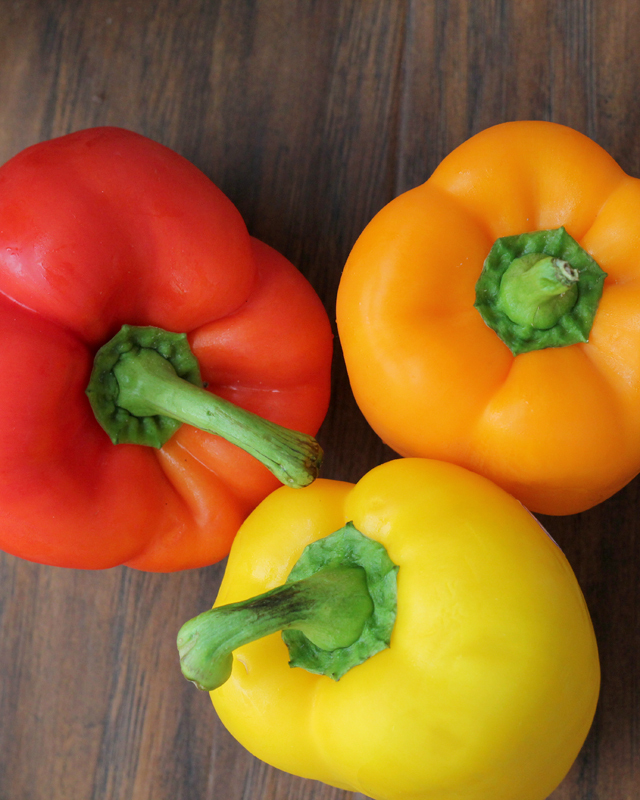 While the peppers and onions are cooking, bring a small pot of water to a boil. 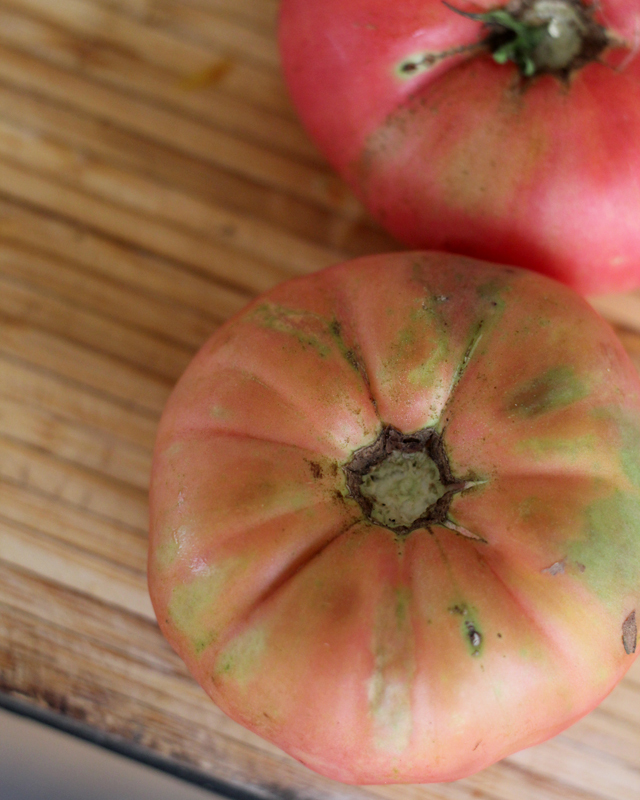 Boil the tomatoes for 15 seconds and then drop in a bowl of cool water for a few minutes. Remove the skins from the tomatoes and discard. 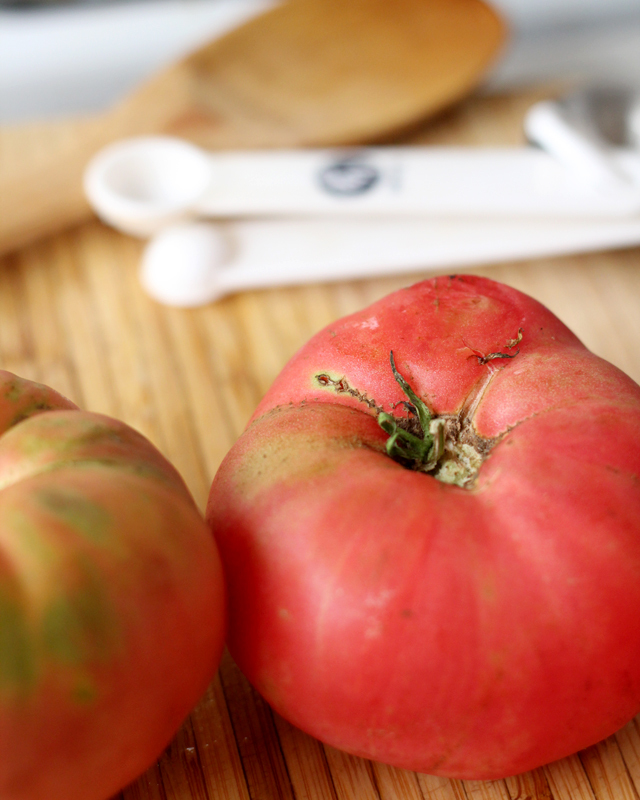 Chop the tomatoes and add them to the pot, along with the eggplant and zucchini. 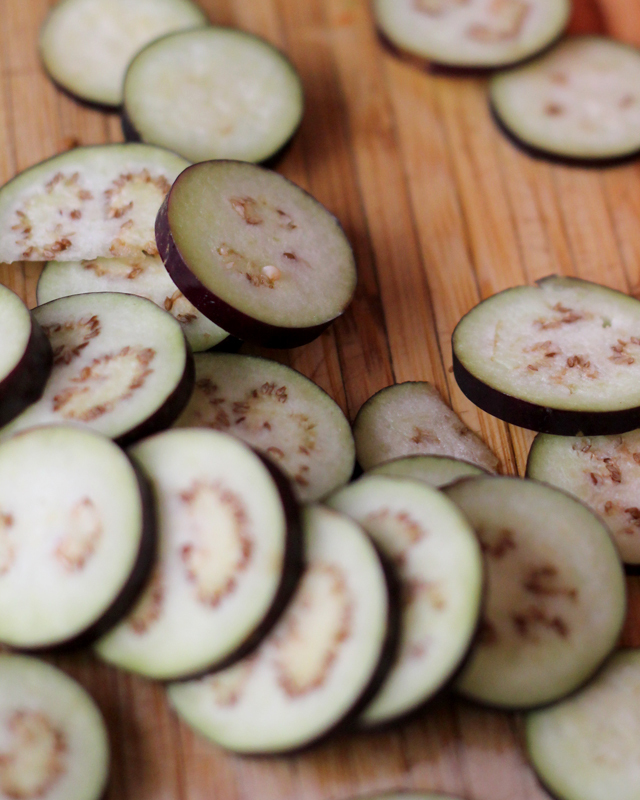 Cook for 15-20 minutes, until the eggplant and zucchini are tender and the tomatoes have cooked down a bit. Stir in the beans and kernels from the corn and cook until just heated through. Stir in the feta cheese. Season to taste with salt and pepper. Slightly sweet cornbread is made all the more delicious with brown butter and maple syrup caramelized fresh corn. Heat the oven to 375. Line a muffin pan with muffin liners or grease it. Set aside. Melt 4 tbsp of the butter in a medium nonstick skillet over medium-high heat. Add the corn and maple syrup and saute until corn is tender and starting to caramelized, about 10 minutes. Set aside. In a large bowl, whisk together the flour, cornmeal, baking powder, and salt. 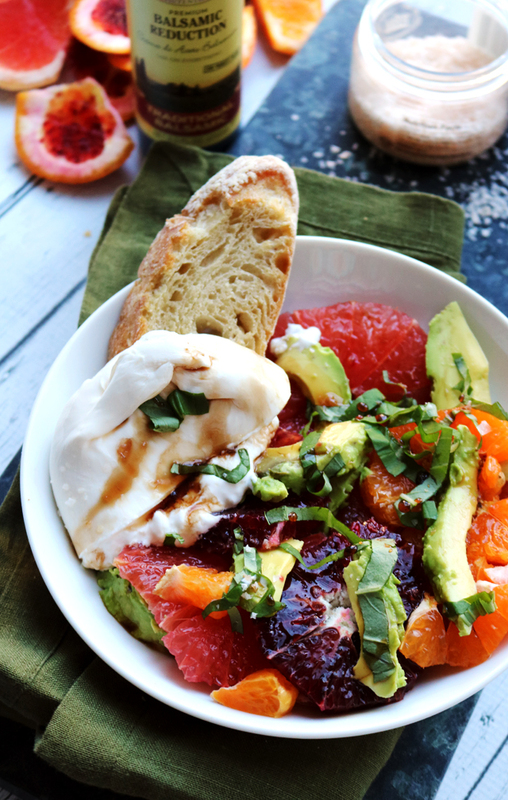 In a medium bowl, whisk together the greek yogurt, egg, sugar, and baking soda. Fold the wet ingredients into the dry ingredients. Stir in the corn/maple syrup/butter mixture. In the same skillet, melt the remaining 4 tbsp butter. Allow to cook until the butter starts to turn brown and nutty. Pour it into the cornbread batter and fold in to combine. Divide the batter among the muffin cups in the tin. Bake until a toothpick inserted in the center comes out clean, about 25 minutes. I can’t believe how fast time went by either! 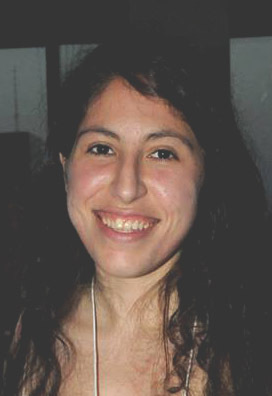 And like you I spent my summer attending weddings, running, and eating…so not bad overall. I totally agree with you on this stew! It definitely has “all the veggies” and looks fantastic! Late summer, yes. Still gorgeous and with this post, still absolutely delicious. I would love a bowl of this in front of me right now!! Wonderful post, Joanne. Happy Labor Day!! Brown butter cornbread muffins. That’s all it took to get me hooked. Who knew I could be so happy on a Monday morning? Squash season begins! (Isn’t that your favorite? lol) I have no idea where summer went, either. I had SUCH goals and accomplished almost none of them. Not that summer is much different that the rest of the year, but still. The days are longer. At least this soup is out there! It looks like the perfect use for all the extra veggies in my fridge – yum! I love summer, but the transition into cooler summer weather is often the best ‘running season’ of the year. I can’t say I envy having to attend nine million weddings…love zucchini, hate weddings! Brown butter everything forever and always, that’s how you tackle fall anxiety! Agreed! I love fall but can’t believe summer is almost over! Autumn is my favorite and I am ready for it. Late summer. I like that. It’s like holding onto summertime but kinda sorta being OK with the transition to fall. I mean really, if the transition involves brown butter cornbread and fresh stew, I’m totally ready for it! What a beautiful stew! I just love it and the corn bread sounds amazing!!! I am so not ready for summer to be over; but the stew and cornbread could definitely lighten my spirits. Looks delicious, Joanne! You’re so darn right: a girl can’t never have too much froyo/gelato/ice-cream etc… I like summer food so much that it makes me super sad it’s over. Although stews like this kinda make me want to wish it was fall. This looks so cozy and delicious and wow, those muffins sound terrific! It’s ok, girl- we’ll get through to autumn together! I’m having PTSD over the end of summer, as much as I am still a little excited about Honeycrisp apples and big fat stews. 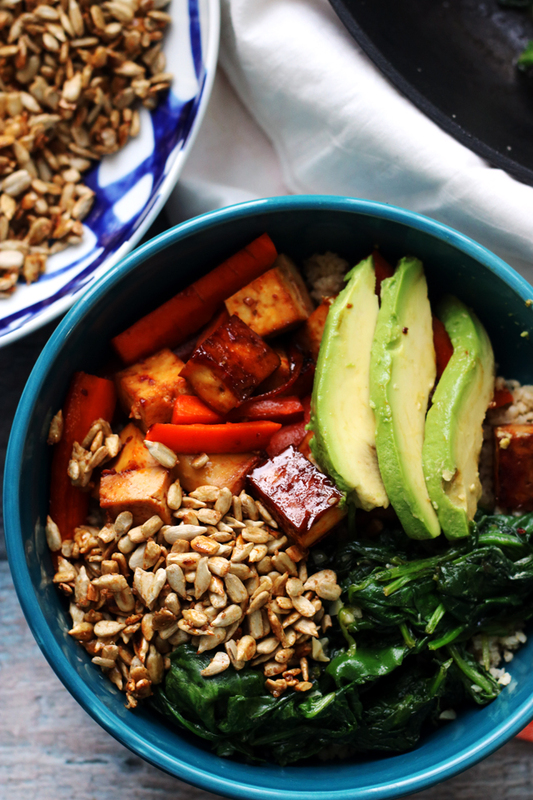 This veggie stew is the perfect toe-in to the change in seasons! I HAVEN’T EVEN GONE TO THE PAAAARK. Ugh summer, don’t leave. You made brown butter cornbread. That is epic. Sadly summer is over…but at least you have got all the veggies for this comforting and delicious stew! The corn muffin looks hearty and very tasty. I almost feel guilty lately because so many people around me are in the same boat as you – heartbroken that summer is nearing it’s end. Meanwhile, I’m anxiously anticipating Fall, as it truly is my favorite time of year. I’m trying to keep my excitement at bay, though, out of respect for all the summer lovers in my orbit! This looks like such a wonderful stew, and what a great way to use up those late summer tomatoes! Plus, who can resist corn bread, especially when brown butter is involved! I love fall, but I am so glad to see you still living in the moment. Apples and pumpkin can wait just a minute more. We’ve still got zucchini, tomatoes, corn, and basil to enjoy! I love summer foods but I’m so excited for the next season of eats! I already started on a few stews and think it’s such a nice contrast from all the basil and cold salads I’ve been enjoying. Your cornbread recipe looks amazing! I haven’t tried making my own yet so now I have something to build on. Ooh, the stew and muffins sound like such a great combination! I might even break up a muffin and serve the stew ladled over it. SO GOOD. Browned butter cornbread?! Oh my…I’m in heaven!! Yum Joanne, this sounds so good. Cooked zucchini with tomato over brown rice is one of my favorite summer dishes, I’d never thought of adding beans to it, but it’s a great idea for the added protein. Girl, the cornbread with brown butter sounds delicious. I am sneezing here and I would love some of that stew..comfort food can’t get better than this. The stew looks hearty and delicious and the brown butter cornbread has me drooling! Great stew! I’ll miss the summer produce but I have to admit I’m starting to look forward to Fall too. My experience with corn muffins is almost non existent (I think it’s a Canadian thing) but the thought of brown butter and biscuit is too tempting. 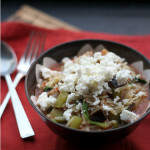 The vegetable stew looks amazing and the perfect ‘crisper’ dinner. It is so hard to believe that summer is over. I can’t let go. I can’t let go! I’ll have to make this stew to celebrate the last of the summer’s bounty. Thank you for sharing, sweet friend. I hope you are having a good start to your week! This look so fresh with all this garden goodness, I can’t think of a more “farewell summer” stew than this. Going to stock up on end of summer vegetables from our harvest and definitely make this! I don’t even like cornbread and this looks amazing! The stew looks wonderful, but I am totally swooning for this cornbread! Can we keep summer for just a while longer, please?? This looks DELICIOUS. Pinning and making it soon!! Dear joanne, The summer slipped away and where was I!! I do love the fall though, it is my favorite time of year. I hate to admit it, but I’m kind of excited for fall produce (apples! )…that said, I haven’t eaten nearly enough corn and tomatoes this summer, so I need to fix that before it’s too late. I love these colours, and the sound of this cornbread! All of those fresh vegetables and brown butter cornbread? I’m sold!! I know that end-of-summer-first-glimpse-of-butternut feeling – devastating. First glimpse of asparagus on the other hand – best feeling in the whole world – bring it!! I hate when I think about how many things I DIDN’T do this summer!!! I need to make this stew so I can at least add it to the list of things I did do 🙂 Looks like perfection! 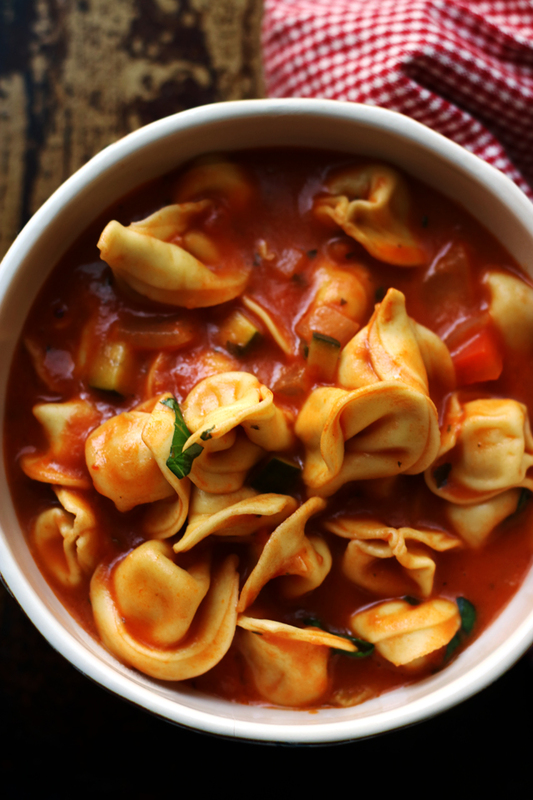 What a delicious and savory vegetable stew! 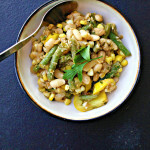 I love the idea of adding cornbread to it… love courgettes, too! 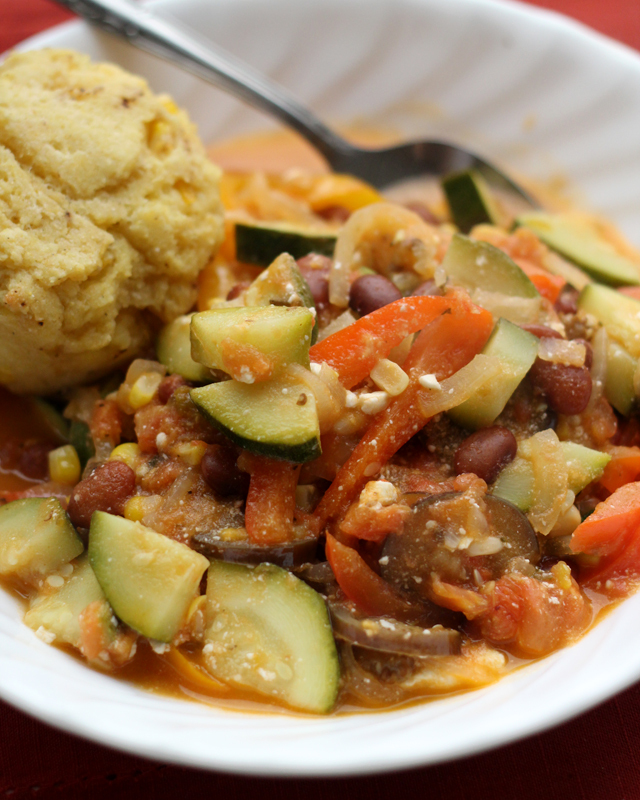 This stew and cornbread combo sounds like the perfect goodbye to summer and hello to autumn. I didn’t do everything I wanted to this summer either, but I’m okay with that — summer is hot and fall is awesome 🙂 Bring me alllll of the pumpkin and squash! I’ve also had the same problem with butternuts in the grocery store… Because they are my absolute favorite, want to marry them. But it is still NOT time for fall things. 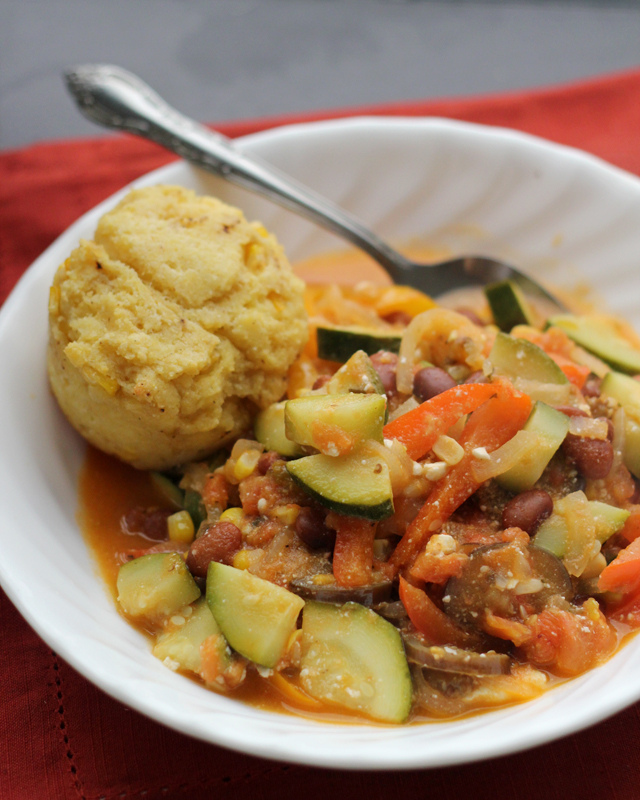 I’m going to make this stew and cornbread (DYING for that cornbread!) and relish every last moment of summer. The stew looks great and I just happen to have most everything on the list to give it a try. I’ll let you know how it turns out. BTW, I signed up for a class at the Intl.Culinary School in NYC and will be there Dec 14th, Maybe we can hook up for an app and glass of wine. My wife would join us if not too busy shopping. Although I hate the humidity of summer, I always find it sad to see summer produce go (before getting really excited about fall produce, of course). This stew captures all of my favorite flavors of summer. And don’t even get me started on the corn bread. Did I ever mention that corn muffins are my all-time favorite flavor muffin, no contest? Well, they are! These look awesome! Summer is so not over! No way! However, I will happily eat this stew and cornbread every day because summer is never ending. This stew is the perfect way to flirt with Fall without fully letting go of Summer! And I love it! Summer left way to fast this year for me too! This stew is the perfect remedy! I just love how you captured the late essence of Summer…this is a must-have before it goes away completely! I always feel rushed at the end of the summer to squeeze in as much as I possibly can! The muffins and the stew both look awesome. I just made a pasta dish recently with all the veggies taking up residence in my fridge (you’ll see Thursday). I love dishes like this. And I hate to admit it, but I’m really ready for fall… and butternut squash. Love is whole meal. I am always a big fan of throw everything in a big pot dishes. The corn muffins though with fresh corn and yogurt just sounds crazy good! Must make! 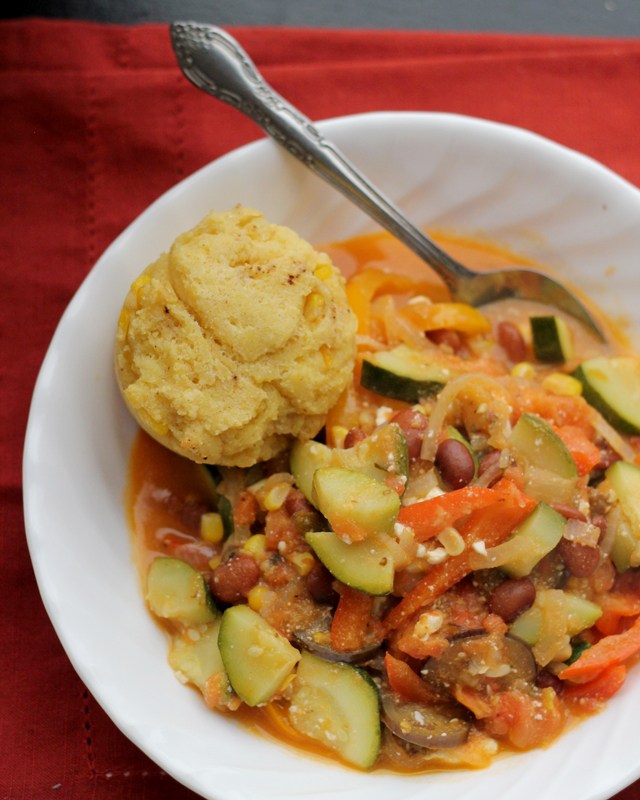 I cant wait for the weather to cool down so I can have some of this veggie stew! Summer has really flown by! I was thinking yesterday how some chili might be good. This stew sounds like it hit the spot. I will have to be making some soon! I love cornbread…and browned butter one? Bring them on please! 😛 Your late summer vegetable stew with brown butter cornbread is so pretty with all the colorful veggies and wholesome goodness. Have a wonderful week ahead my dear! That looks so good!!! It’s hard to believe that it is late summer, but there it is. Pretty sure the odds of me eating the entire corn bread topping are 100%. Love! Summer really has flown by! I’ve been walking 3 miles every morning with my neighbors (teachers), and now they’re all going back to school. It seems like we just got into the grove. Such a great meal, Joanne! I love the brown butter corn bread….delicious!! Browned Butter Cornbread? You’re officially a foodie genius! 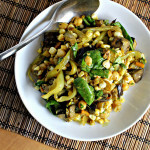 Not ready for fall either but this recipe is somewhat consoling me! I am loving this stew. Anything veggies of this kind is right up my alley. Gave a mixture of veggies in one plate and I am a very happy girl 🙂 I can wait for the cold to whip up stews!! Very nice Joanne but I am keeping the summer thing going until its over and not over until Sept. 22nd !1whoo hoo! Great recipe, by the way! Yum to both recipes! I know what I’m making next week! I have to agree with you, I am not ready for fall either. This stew his browned butter, it sounds pretty delicious! I am with you, I am not ready to see summer come to an end. I love the stew and corn bread, it looks so delicious. I’m still in a little bit of shock that it’s September already. I’m looking forward to eating a ton of stews just like this one! Delicious paired with that cornbread. Well you’re making the transition at least with your food, using your summer vegetables to make a stew! It’s beautiful, and I do plan to try this cornbread. I’m a cornbread addict! That is one gorgeous colorful bowl of stew and looks like the perfect meal with those muffins. Yum! Totally not ready for summer to be over… but, the main consolation is that the weather will be perfect for stews like this one! 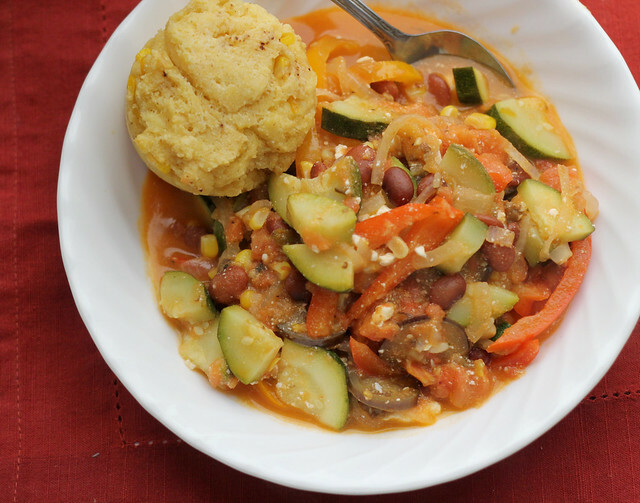 Joanne it’s dinner time here and I wish I had zucchini at home to make this wonderful stew. Feel like good old comfort food right now. Gotta check out your cornbread too! Brown butter cornbread! Oh, my heart. if it’s any consolation, I am in total denial that it’s early spring here in New Zealand. I want more winter! I didn’t make enough stews and soups and casseroles and and and! I am all over this one-love the idea of using summer veggies for a soup…and are you kidding me? Anything with browned butter is pretty much perfect, right? I’m bookmarking this immediately. squash definitely sends me into a tailspin 🙂 this is a great way to hold onto summer! especially with cornbread, yum! 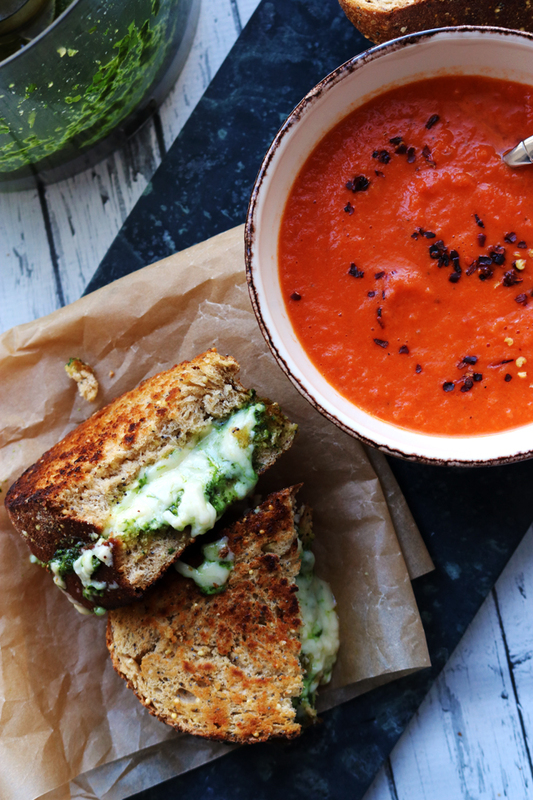 This looks like the perfect meal to usher in fall. Oh my, this is the ultimate savory vegetable stew 🙂 I think I just found my new favorite! to purchase your mixes. I’m sure you will enjoy the great taste!